Having websites for business which not optimized for mobile might have lost in significant amount of sales. Some researches have revealed that 57% of mobile users leave from site which takes more than 4 seconds to load. Businesses like Real Estate works completely online these days, with updated to latest technology mobile apps preferred more than websites. Most of the current generation customers prefer mobile technology to make their daily lives more convenient. Mobile devices are using for access internet, better communication, entertainment and also for way of seeking business products and services online. These people have already entered the workforce and are looking for homes. With these entire developed environments, Real estate business can take advantage on customers by growing reliance on mobile app development. 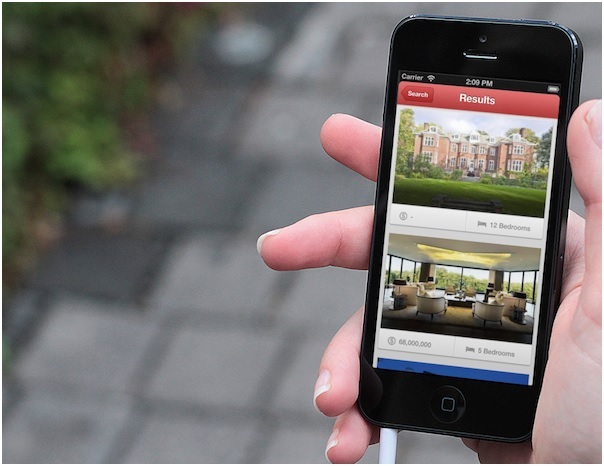 Here are some of the benefits of creating mobile app for Real estate business. For a real estate agent, listing a property is a key function of website. Mobile app makes these features easier and allows customers to search under various categories. In addition with basic information, mobile application enables the prize details, property photos, floor type, size and all other features in finger tips. For a first time buyer or seller, it is difficult process of selling or finding a home. By providing some guide tools like commonly asked questions, an app can help your customers finding his property. These features of sharing tips generate trust with the customers and the agent’s expertise. With elaborate features and information, the buying and selling process has been done easier with mobile app in finger tips. On a real estate process, it is important considering on knowing Mortgage payment of property. For a client, these processes can take some time and also slow down selling process. Process delay may end up on loss of a sale. Mobile app with mortgage calculator provides quick information details about the prospect. Apps increase interaction with your vendors, buyers and general public and places. Get in touch with www.demandmedia.co.nz today to start building your own app. Alternately call or SMS Neil 0407 199 022 to organize a FREE DEMO App custom build for your realty at NO COST or OBLIGATION – Why Just take a look at what your Business App will look like!